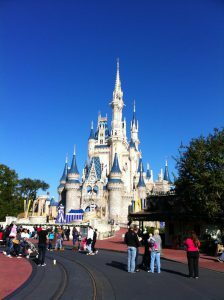 Because Orlando is really hot a hot part of the earth, going to Disney World Resort can become a little uncomfortable in the summer, as the humidity and temperature can reach up into the triple digits. Worse still, the weeks of heat occur precisely when school is out and families head to Walt Disney World during peak holiday season. 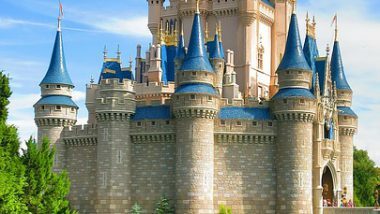 No one in their right frame of mind considers heat, humidity and crowds of people a fun combination, however, with some preparation, your family’s summer season holiday to Disney World Resort can still be fun. If you stay in a Hotel based at the Disney World Resort, you can commute to the parks in air-conditioned luxury in the Disney monorail, a bus or use the water transportation. This is certainly a much better choice than travelling in a car that has been baking in the sun for hours. Also, if you stay on-site, Disney will reward you with the benefit of the Extra Magic Hour. This is when on designated days the park will open an hour earlier and only allow Disney Resort guests in. Another way to cool down at a Disney World Resort on a hot summers day is by making sure that you have a park hopper pass. In this way, you can cool down quickly by visiting one of the water parks. Both Typhoon Lagoon and Blizzard Beach offer loads of enjoyable and cools rides in the water. Just a word of caution here – the parks get crowded pretty quickly on a hot day, so try to get there early so you don’t need to cue in the hot sun for ages. Wear your sunblock, sunglasses and a hat. Take some cool sandals and light cotton clothes. Some rides you will need takkies and socks, but it is going to get hot walking around in these the entire time. Drink lots of water and if somebody in your group does get dehydrated, get to one of the First Aid Stations. If you have irritable kids with you, head to the nearest air-conditioned restaurant if you can’t get to the water park. Try this mini spray bottle. If you fill it with ice cold water, you can give yourself a spray each time you get too hot. This mini 5 oz spray bottle is easy to carry around as it is small and it is curved which makes it easy to hold. By clicking on the water bottle, you can purchase either one or two of these useful contraptions by clicking on the bottle to the right. 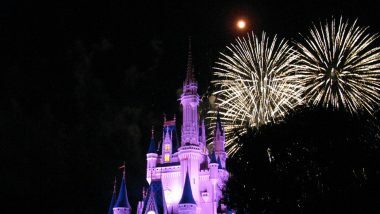 If you are looking for ways to get discounts when you visit Disney World, click here. Please leave a comment below if you have been to visit Disney World Resort in the heat of the summer and let us know how you survived it.